Over 450,000 downloads and a 4.7 star rating to prove it. The only rocket alert application with dedicated notification servers that drastically improve alert speed and reliability. 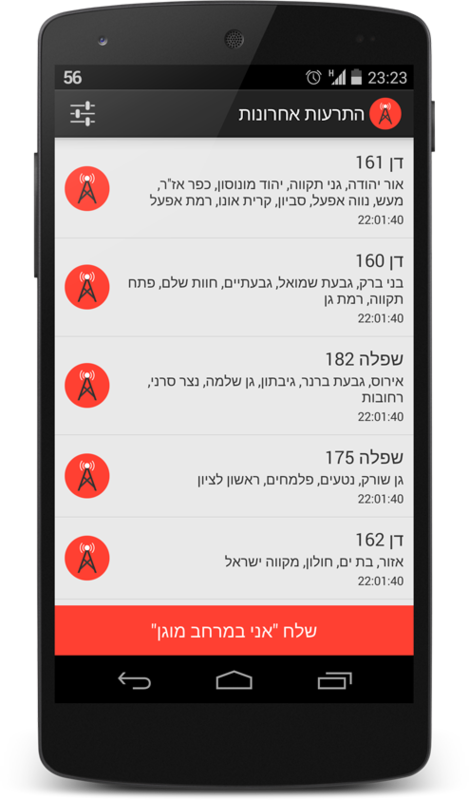 Rocket alerts are received before / during the official siren, using dedicated push notification servers. The ability to check, at any time, whether your device is able to receive rocket alerts via the "self-test" option. 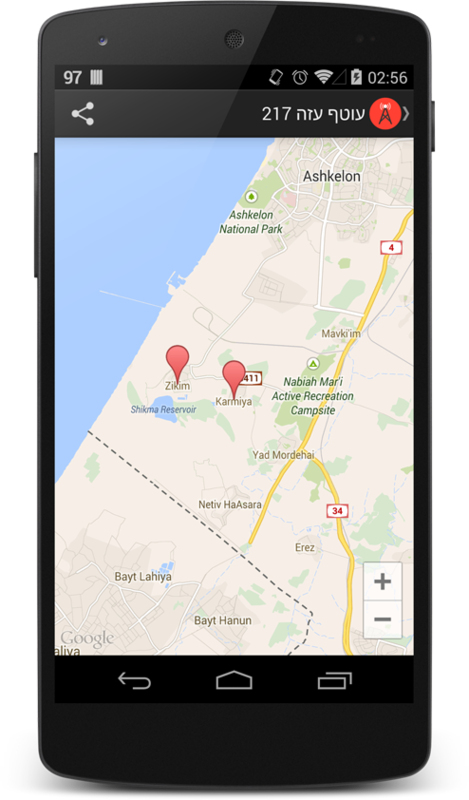 The ability to receive rocket alerts based on your current location (GPS) in addition to the primary alerts. The ability to receive secondary rocket alerts to be notified of alerts in other areas, using a different sound. The application was developed to protect Israeli citizens. It costs money to run the servers, your donation is greatly appreciated.